For the longest time we have been receiving questions and responding on the topic of creating effective blog posts, how to optimize and format content, etc. While all these elements are integral for effective online growth, there is still a bigger question to address, "Why do I need a website?" Do you believe your website is optimized to support effectively your online lead generation, your business goals, your online growth? Our results showed: 88% replied with either no, or not sure. Wow! 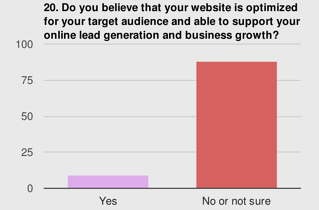 The website is the hub of a business' online marketing, yet almost 9 out of 10 weren't sure theirs had value. What gives? Where's the Value in a Website? 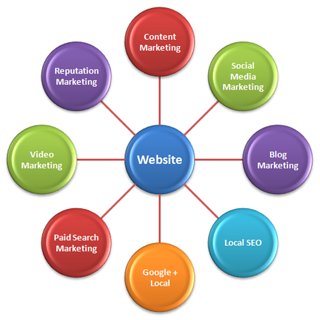 There are clearly multiple elements in a website that are all integrated together. Let’s begin by identifying the various components that constitute a well rounded and operational website for your business. The site’s design: Your website needs to be both modern looking and easy to navigate. This will entice visitors to stay longer and it will make it easier for them to explore. The site’s tech backbone: You will want to make sure you have the right tech running “behind the scenes” of your site. This is especially true in more complex websites. The loading speed: Speed is critical in today’s online world. You want to make sure that your pages load quickly both on desktops as well as mobile devices. The ability to interact with your audience: Proper engagement can ultimately lead to leads, and potentially even revenue. As the central hub for your business, your website will need to allow (and be used for) two way interactions between your visitors and yourself. Proper optimization: Optimizing every page is integral for acquiring higher SERPs. Properly optimized websites means greater visibility and traffic to your pages. The site’s organization: Tying back to the first point on the list, a website must be appropriately organized to allow for a more pleasant navigational experience. The content visitors are looking for should be easy to find and readily accessible. 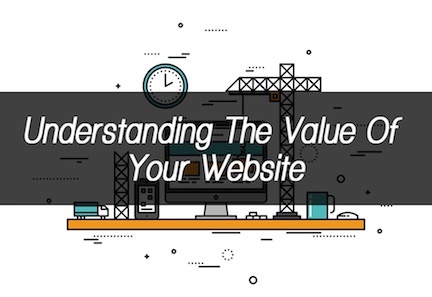 When you look at the value your website offers your business, you are can see a combination of all the above coupled with your ability to combine and execute these elements in a strategic manner. What Happens On Our Site? As owners of an SMB you are all aware that your website is driven by traffic. But what do these numbers translate to? In order to answer that questions we can use a visual representation created by Mark Smiciklas. 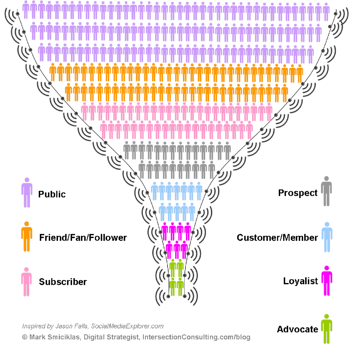 From the above funnel, it's evident that only a small amount of traffic is reaching the bottom. Take a look at the first four ‘public’ figures on the first row. This little subset of all these purple visitors is what's really going to build a relationship with you. They will go through the process of becoming a fan, a follower, a subscriber, turn into a prospect, become a customer, become a loyal customer, and ultimately become an advocate for your business. What this essentially translates to is the existence of a multitude of visitors with different pains, needs, and interests you will have to address on your website. As the central hub of your business, your website will be performing some (if not all) of the strategic actions presented in the illustration below. You must remember that just because you HAVE a site, it does not automatically mean that it will be functioning in all these ways. It will be up to you to define what your website will be performing as and formulate a sound strategy around that functionality. Before you build or update your website, make sure you're crystal clear on the strategic uses of your site. Let's assume your goal for using your website is the following: You want to use your site to generate five new customers from your digital approach in the next 12 months. What are the strategic steps of achieving that? Let's assume that you need at least 1,000 visits to your site that lead to generating 25 leads. These leads are then going to convert into 5 customers. You have a clear understanding of what your want to achieve; but now the question is: Does your website impact this? The answer simply is yes, however, it will need to be optimized. Firstly, it will need to be optimized to gather those 1,000 visits. As you may have already figured out, this is where SEO, blog creation, and distribution strategies come into play. Furthermore, your site will need to be optimized for lead generation, meaning you will have to create enticing (and easy to use) calls to action (CTAs). Make sure there is a CTA on each one of the pages on your site. These CTAs will ultimately push the visitor to a landing page. Generally speaking, the landing pages are going to be a sub-domain. Your site will also need to be optimized for creating trust. A lack of trust means a lack of visitor engagement. Create a user experience that is easy to navigate, content rich, and appealing for site visitors to explore. Finally, your site will need to be optimized to highlight your value, credibility, and authority. We all know the power of becoming a thought leader in your niche. It's extremely important to have a respectable blog and a sound social presence, but your website is more important than you think. 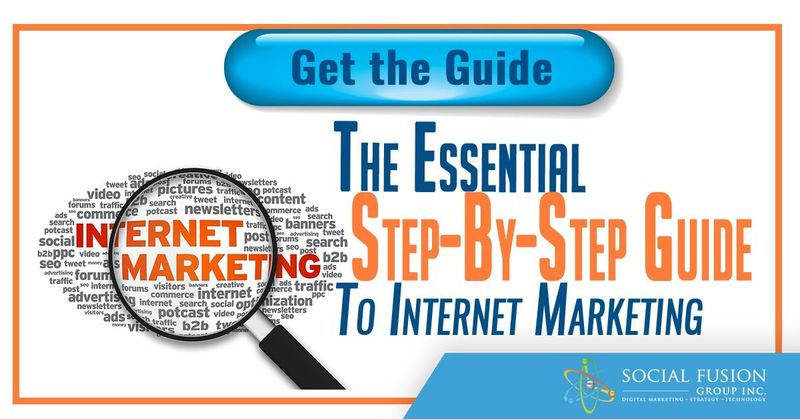 It's integrated in everything you do in online marketing. It is the hub that can correlate all your business operations online into one centralized location. But remember, in order for it to help you achieve online growth it will need to be effectively optimized to achieve the functionality it was intended for.